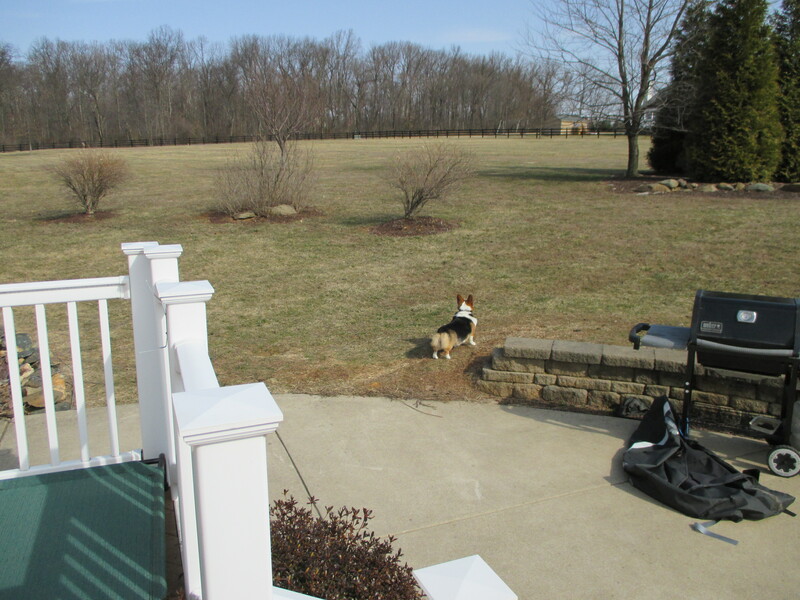 After such a long winter, your corgi may have temporarily forgotten how many delicious smells there are in a back yard, especially at O-DARK-THIRTY. Three months of bottled excitement will bubble to the surface, so be prepared for explosive energy. On the first real day of spring, you must open your back door as early as possible, preferably when the sun hasn’t even risen yet. This will provide the most challenging conditions for you, the person owned by corgis. You want us to come in and stop herding whatever animal we smell?? We don’t think so! 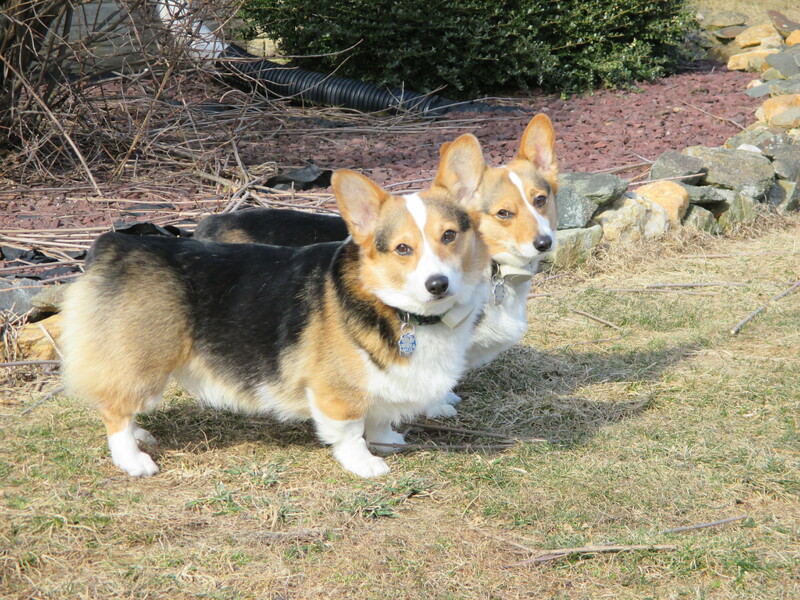 When you open the door, the corgis will dash out, heading straight for a scent trail. The trail will meander around your back yard, and you’ll never be sure whether the corgis will end up halfway up a tree or halfway into the next zipcode. In these instances, a good, sturdy fence is highly recommended. An invisible fence may do the trick, but the herding instinct is sometimes powerful enough to overcome that temporarily. You can try to call them back inside, bribing them with their favorite treats or toys, but good luck with that. Most likely, they will stay outside until the sun comes up. Even then, when you call them, they’ll give you that stubborn corgi look: I can’t come inside now. There is herding to be done! What exactly they are herding, you won’t have a clue. But they’re herding, alright. My best success has been a green laser. Leia and Yoda Corgi love to “herd” the green laser. It’s both fast and elusive, giving them the corgi challenge that they crave. And the best part about herding a green laser is that it can be done at all times of day—and they have the craziest tendency to lead the corgis right into the house! Springtime. April showers and May—mud. 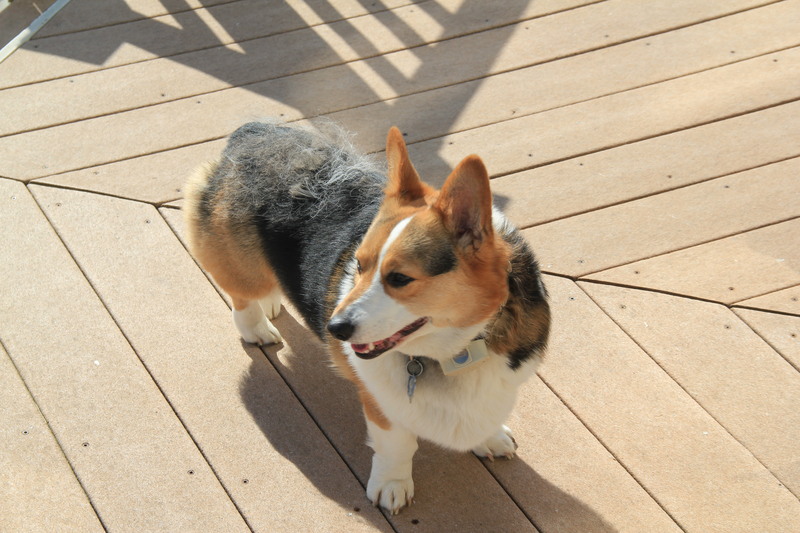 Corgis have no qualms about tramping through mud, digging in mud, eating mud… Their low clearance makes their underbellies magnets for mud, dirt, leaves, mulch, and whatever other elements of nature the corgis encounter during their springtime adventures. And worms. Don’t forget about the worms. Leia sure doesn’t. Not only do the corgis love the occasional worm-snack (yuk! 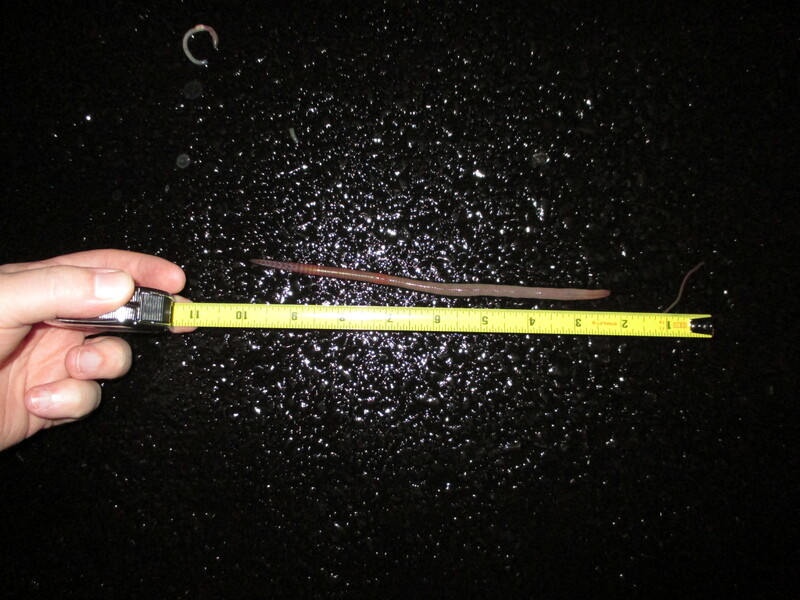 ); what’s even better is when the worms get all dried right there on the driveway. For Leia and Yoda Corgi, dried worms are choice rolling fodder. That’s right—there’s nothing better to roll in than a dried worm. Leia and Yoda will even have competitions for who gets to roll in the worms for the longest. On the one hand, it does keep them busy so you can do things like gardening. On the other, it’ll most likely end up in a dreaded b-b-b-bath. 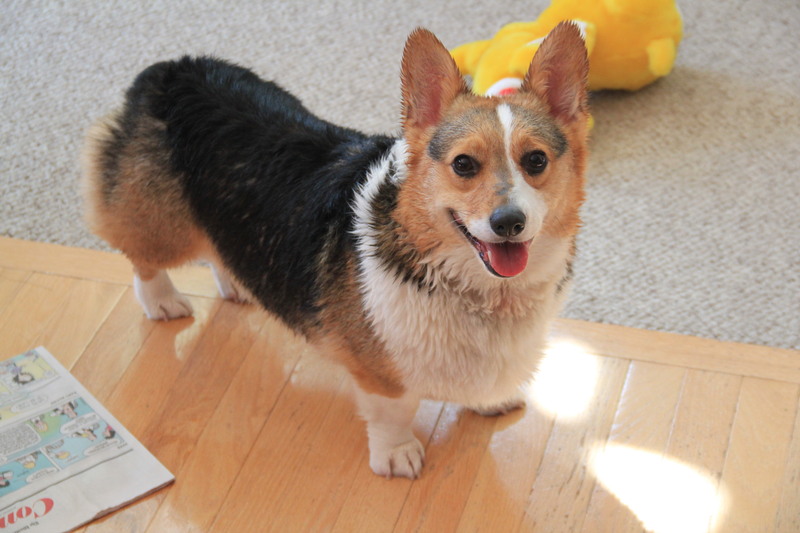 Baths occur at least weekly during the springtime here in the corgi household. 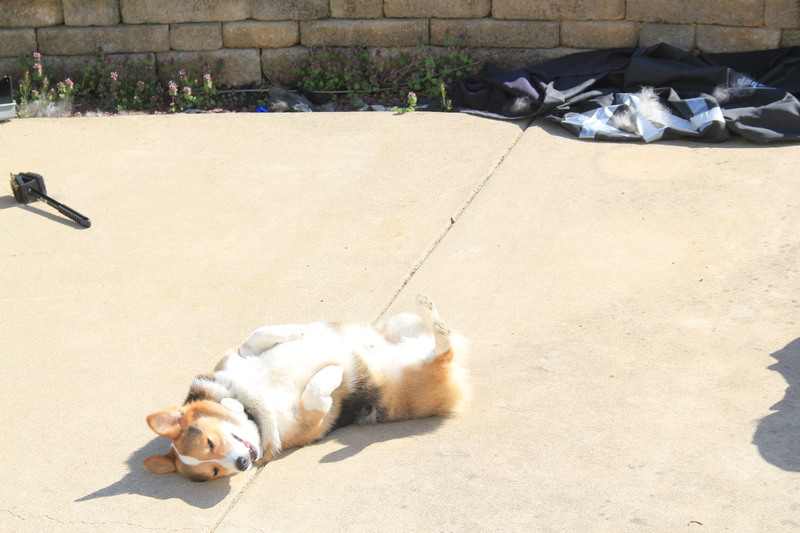 And speaking of gardening, certain corgis (achoo–Leia!) like to eat manure and garden soil if you aren’t watching carefully enough. Speaking of grooming, springtime may lead to large furballs flying around the house like tumbleweed in the Wild West. That’s right, it’s corgi shedding season. 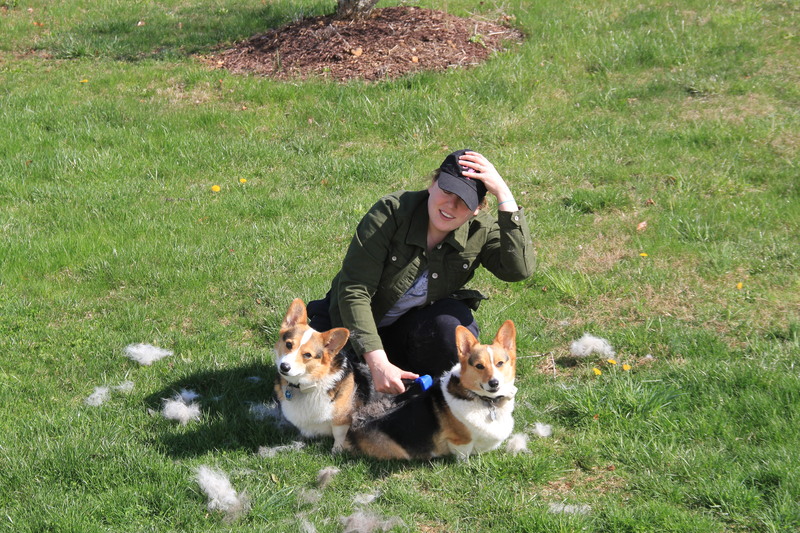 Yes, I realize that EVERY DAY is corgi shedding season, but springtime is the absolute worst. 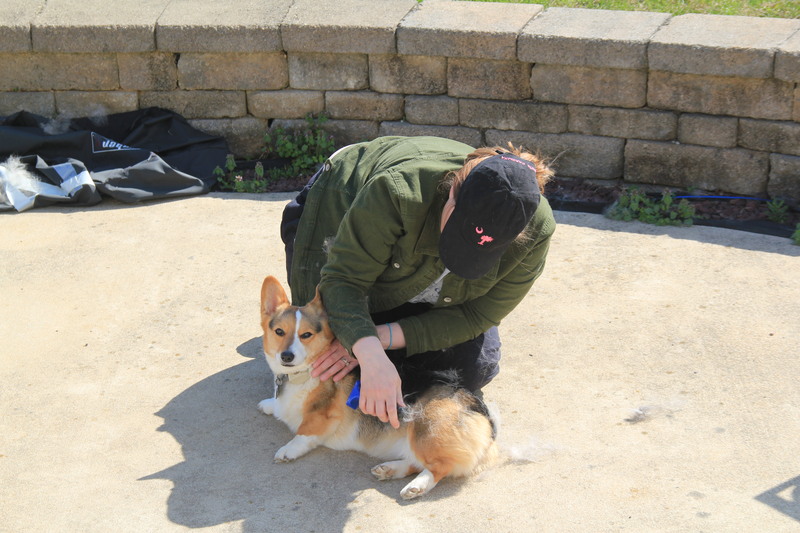 The corgis will shed part of their soft white undercoats, the stuff that keeps them very warm during the winter. If you value your clothing, couches, and carpets, you must be proactive here. Grooming multiple times per week is a must. Leia begrudgingly allowing her human to groom her. Leia “escaping” with loose fur still stuck all over her. Enough of this grooming, already, I’ve got herding to do! The first grooming is going to be intense and should be done outdoors during a windy day (the wind will help blow the hair away). And, hey—think of it as community service for the birds. When you’re done, you’ll be providing luxury bedding for all the birds in the adjacent zip codes. A windy day is a MUST to help blow the fur away! My tool of choice is a Furminator brush. The corgis were frightened of it at first, but now they actually enjoy it. …and staying for a little nap! 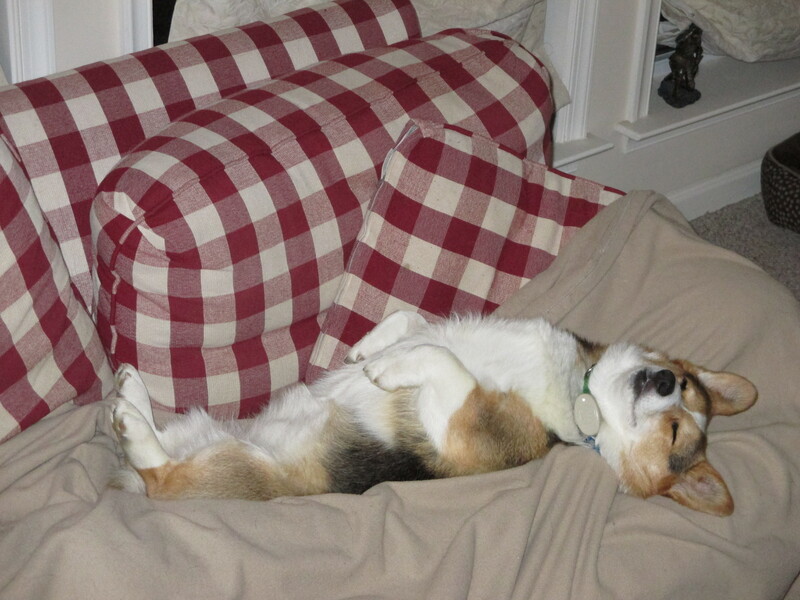 All the chasing and herding and grooming and washing is likely to tire out those corgis. The good news for you is that they’ll willingly take a cat nap while you catch up on all that non-corgi work you have to do! Thanks for stopping by, and enjoy your springtime pups! Posted on April 29, 2014, in inspiration. Bookmark the permalink. Leave a comment.